So you’re thinking about building with a timber frame? Great choice – you’ll gain loads of benefits in terms of the build process, environmental impact, cost, timescales and performance of your finished structure. However, as with any building process, timber frame construction does come with some potential pitfalls. 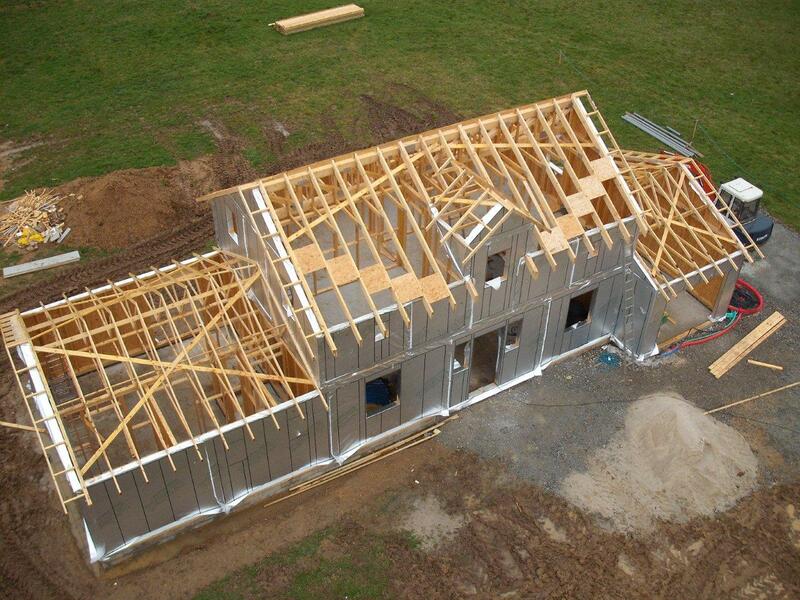 In this post, we explore the unique challenges associated with timber frame builds, and look at what you can do to ensure that your project runs smoothly. Your choice of timber frame company will make a huge difference to the success of your project There are lots of timber frame companies around – ranging massively in terms of quality, service and price! As with any major purchase, do your due diligence. Research the timber frame companies, pay them a visit, and ask to speak to previous customers for a first hand perspective on the quality of their work and services. When comparing quotes, understand that cheapest isn’t always the best value. Drill down into the quote and make sure you understand exactly what it includes, what it doesn’t and whether there are hidden potential costs for delays or site problems. It’s also sensible to compare the specification of the timber frame, to ensure that you’re getting a quality product. Don’t be put off if your builder is anti-timber frame. Some traditional builders don’t have any experience with timber frame structures, and are therefore naturally suspicious of them. The reality is that building with a timber frame is easier than traditional brick and block construction! Your chosen timber frame company should be happy to spend time speaking with your builder, and producing all the information they need to complete the project successfully. 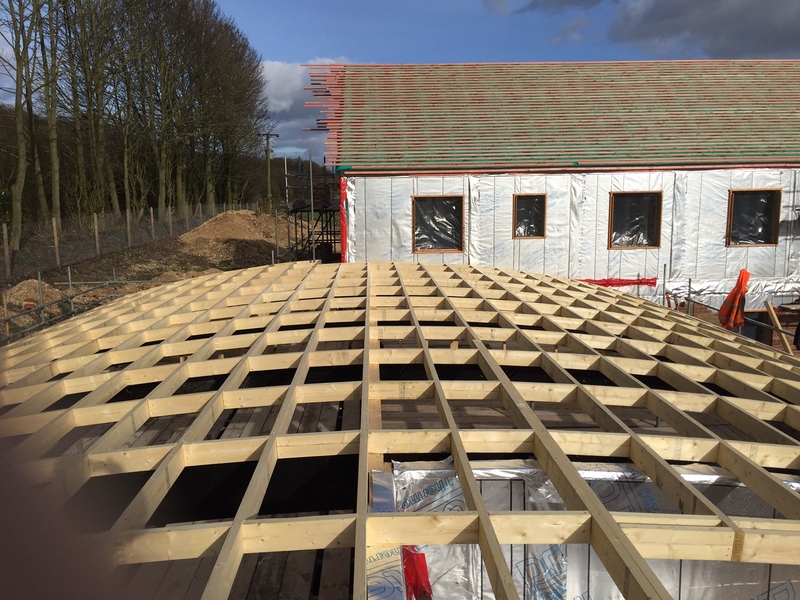 At Turner Timber, we have now converted several builders who had never used timber frame construction before, who now prefer to use timber frames in their builds, thanks to the speed and ease of construction. Choosing a timber frame has a big impact on the design of the structure and foundations. To avoid delays and costly plan changes, get your chosen timber frame company involved quickly, at the start of your project. All this will help to minimise delays, and ensure that you benefit from the right plans needed for a successful timber frame build. “Teamwork makes the dream work” – effective planning, communication and liaison is the best way to ensure that your timber construction project runs smoothly. Typically, a timber frame build will cut down construction time by around 30% when compared with brick and block, but with the right forward planning, you can push this time saving to around 50%. It’s about being proactive, and planning the build programme, materials and trades before the build is on site. Communicating with everyone involved, and clearly explaining the plan will help to minimise confusion, problems and costly delays. Don’t rush the setting out of your foundations! Accuracy is essential, and timber frame builds benefits from very tight tolerances (+/- 5mm in level +/- 10mm in length). Taking time to get things right at this stage will pay dividends later on in terms of the overall speed and simplicity of the build – saving you time and money in the process. 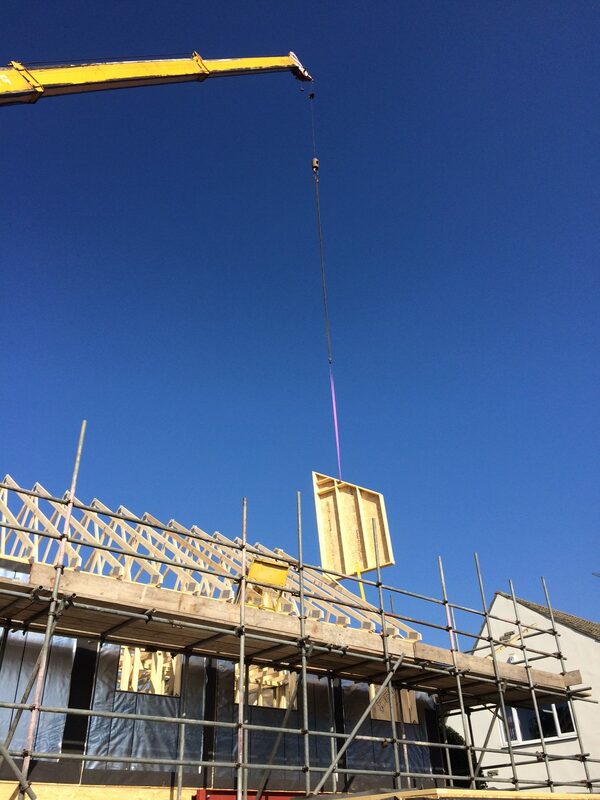 Your coursing block upstand needs to be fitted to all internal and external walls (including both loadbearing and non-loadbearing walls) before your timber frame can be erected. This should be done with plenty of time to spare – this will allow the mortar to set, avoiding the risk of blocks becoming loose during the erection process. One of the most common errors we see with timber frame construction is inaccuracies when setting out the cavity width. Below the timber frame, the cavity needs to be 60mm, reducing to 50mm above the soleplate, where the OSB sheathing projects into the cavity. To ensure that you don’t make a costly mistake at this crucial stage, it’s best to avoid all face brickwork until after the timber frame has been erected. If you’re using bricks for the external finish of your build, then it’s really important that the window and door heads are coursed within the timber frame. This will ensure that there is no split of odd-sized courses over the window and door heads. The external skin should be gauged down from the window heads which are set by the timber frame. •	Want to know more about any aspect of timber frame construction? •	Looking for a timber frame company you can trust? At Turner Timber – we are launching a new programme of seminars in 2017, designed to help self-builders make the right decisions when it comes to building their own homes. Held at our new showroom in Hull, these events will include honest, expert advice and guidance on a full range of topics related to timber frame building and the self-build process. For further information, or to register your interest, please contact a member of our team today on 01482 218945 or email hello@turnertimber.co.uk.